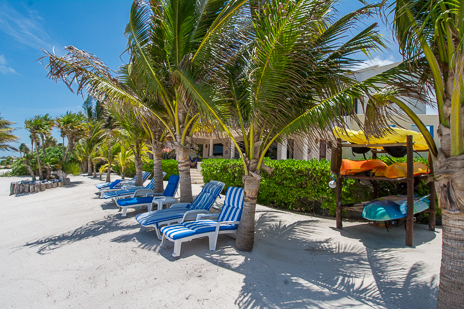 Read a book, build a sand castle, fly a kite; there's a lot of fun at the beach! 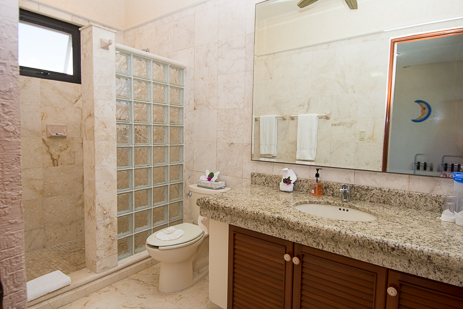 Each bedroom has its own safe; plus there is a fourth safe in the kitchen area for your laptops, cameras, etc. 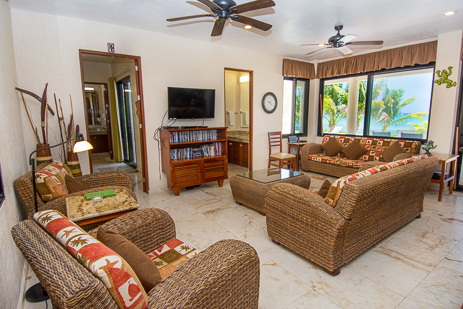 Satellite TV, VCR, Stereo, CD player. 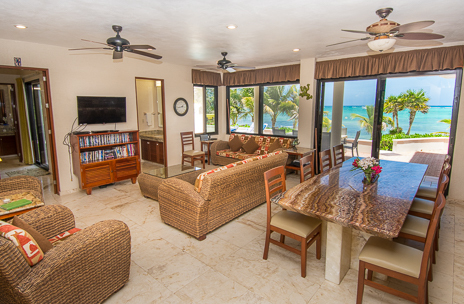 Book & Video library and popular children's video collection. 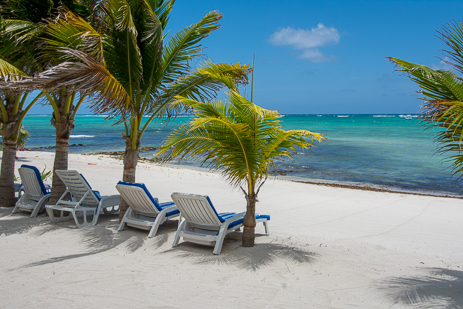 FREE Vonage VoIP phone - free calls to the USA and some other countries. 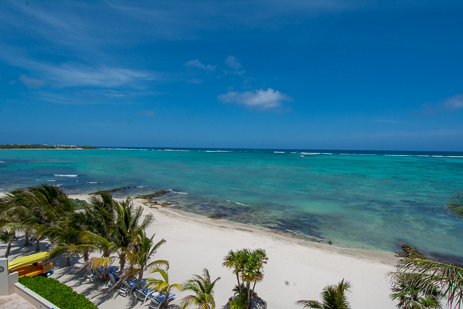 75 meters (240 feet) of sandy beach right on the Caribbean Sea. 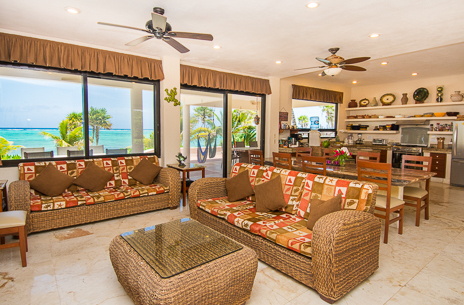 This villa has 35 meters (120 feet) of private beach for this villas guest to enjoy. 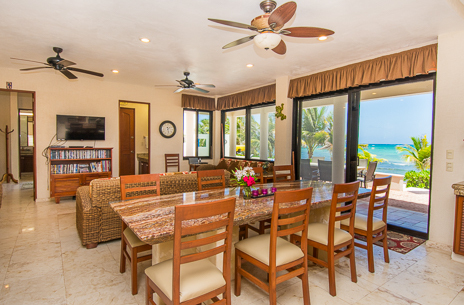 BR #1: Main floor, king bed, private bath, ocean views, sliding doors to patio/pool area. 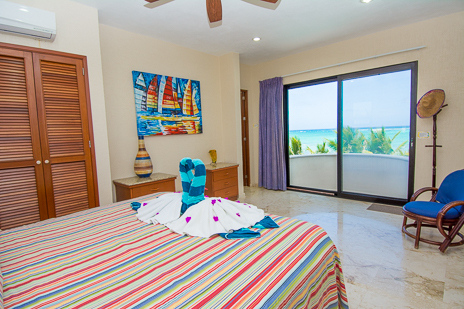 BR #2: Second floor, king bed, private bath, ocean views, small balcony. 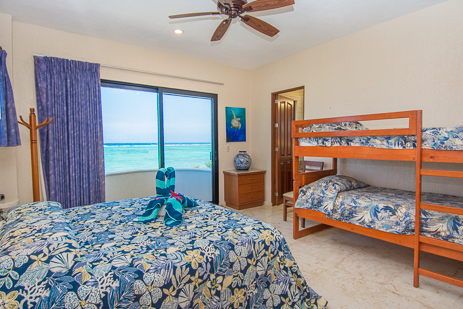 BR #3: Second floor, king bed and 2 bunk beds, private bath, ocean views, small balcony. 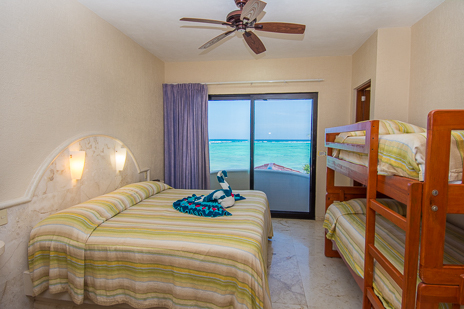 BR #4: Second floor, king bed and 2 bunk beds, private bath, ocean views, small balcony. 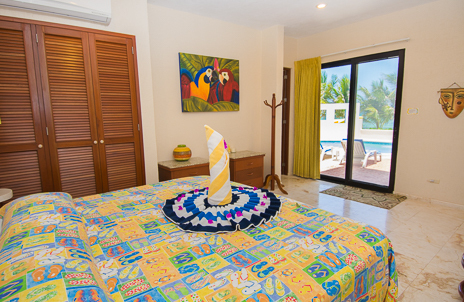 All rates are for 8 guests and include all taxes. 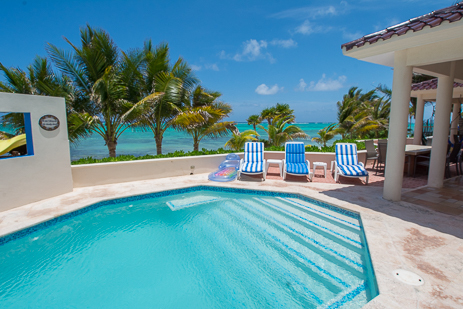 Add $300.00 USD for each additional person over 8 with a maximum capacity of 12 people (8 adults, 4 children). 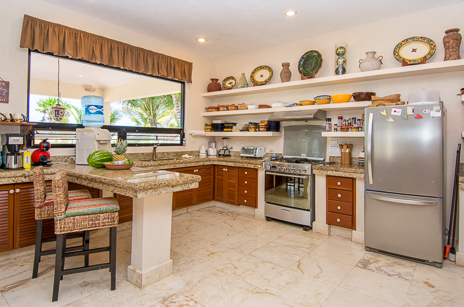 This villa includes a cook. 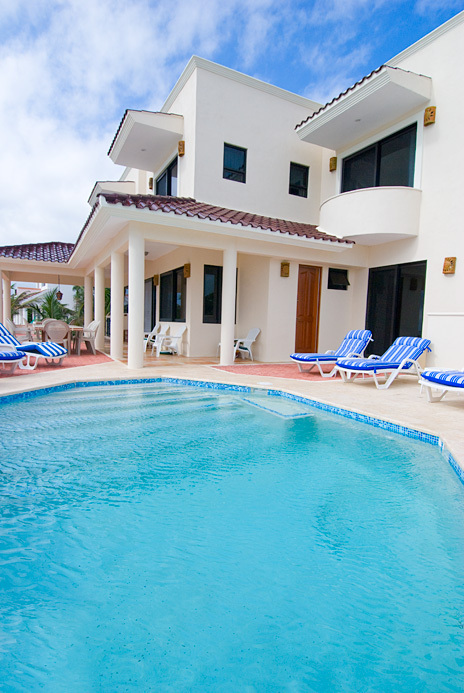 More about Casa Soleada . 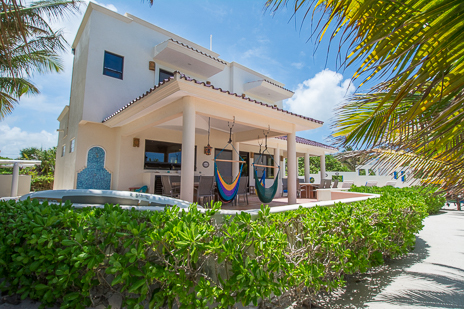 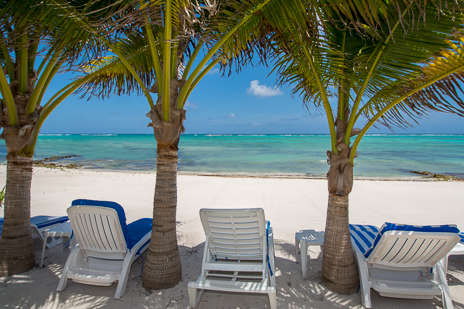 . .
Casa Soleada is a large 4 bedroom, 4.5 bathroom multilevel vacation rental villa south of Akumal on Tankah Bay. 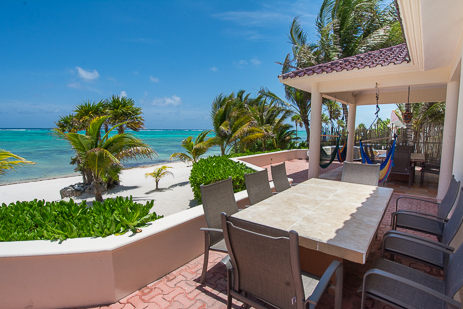 This vacation villa has over 4000 square feet of newly constructed living space designed for comfort and relaxation, with panoramic ocean views. 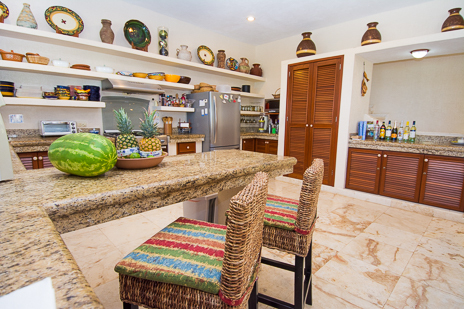 Casa Soleada vacation rental villa has a gourmet kitchen with granite countertops and culinary cookware. 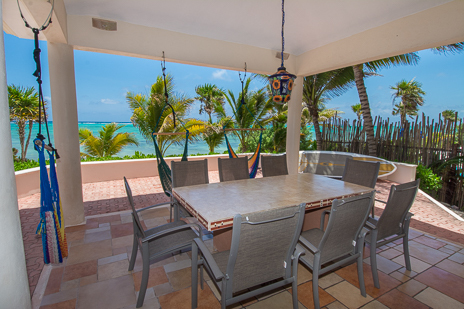 It has a comfortably furnished indoor living/dining area, and a relaxing ocean-facing tile-roof patio that overlooks quiet Tankah Bay. 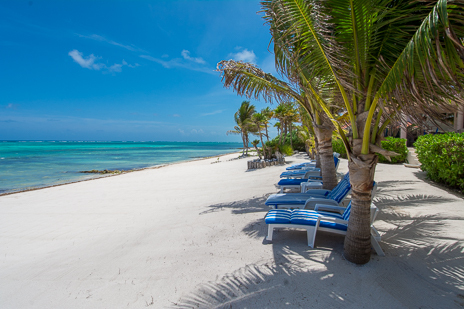 Enjoy the gentle sea breezes and gaze down at the enchanting turquoise waters of the Caribbean Sea. 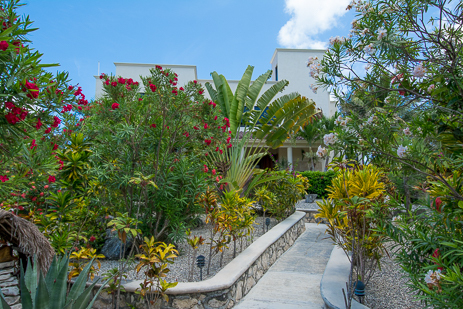 The large third floor private sun-deck is ideal for sunbathing, and there is an additional outdoor patio on the garden side (with Weber BBQ grill) for outdoor dining or relaxation. 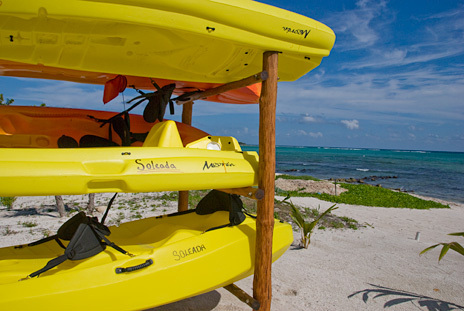 A rack of sea kayaks awaits guests of Casa Soleada; take a tour of the bay! 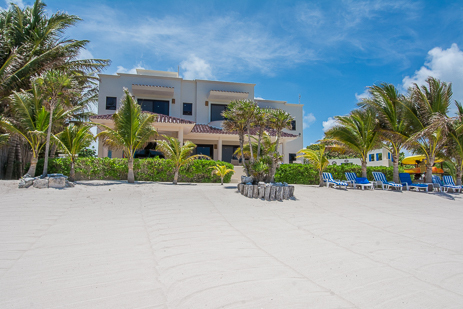 View of Casa Soleada from the beach; look at all of that sand! 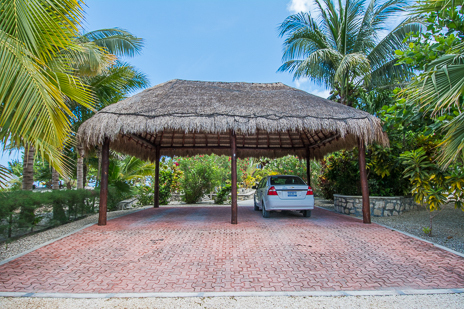 Even the parking area is beautiful at Casa Soleada!